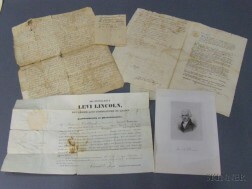 Save your search - find out immediately when "Levi Lincoln" is available at auction! 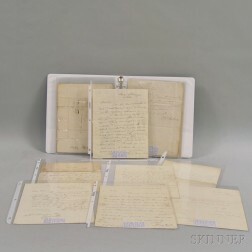 Lincoln, Levi (1749-1820) Four Signed Documents, 1829-1830. Levi, Lincoln, Sr. (1749-1820) Military Commission Signed, 30 April 1831. 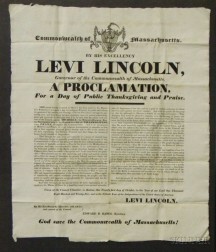 Levi Lincoln Proclamation for a Thanksgiving Broadside, 1825.